Hello everybody, first of all I'd like to thank all the followers of my blog, you are 200 now, yay !. I don't know how do you usually behave when you buy something new...if when you buy something you store it in your wardrobe, almost scared to spoil it by wearing it too soon, waiting for the right chance to do it...or are you like me, with no patience at all and willing to pimp out my new stuff as soon as possible ? And are you also like me the kind of person that buys the same item with different colors or print only cause they like it so much ? I do that ALL the time !. I wanted to do it with my Jeffrey Campbell wedges, I already had them in green and wanted a similar pair, I didn't want to struggle searching for them so I decided to go for comfy shopping online. I found them at Zalando, they had the item I wanted, the Swansong wedges with a lovely floral print, so I just clicked on "buy" with no regrets ! I also bought two other things from the website, including a lovely black long skirt you can see in this post, I've been wanting a skirt like this for a long time and I finally found it, it's so comfy, light and even cheap ! I had a good shopping experience cause this website doesn't charge with expensive shipping costs, and it the stuff I ordered were all very well packed !. By mixing the new buys with something I already had, including a lovely silk shirt from D&G, here's the outfit that came out !. Mi piacerebbe sapere come vi comportate di solito...se quando comprate qualcosa di nuovo lo riponete nell'armadio, quasi con paura all'idea di indossarlo o usarlo subito per paura di rovinarlo, aspettate l'occasione giusta o siete come me, impazienti di sfoggiare i vostri nuovi acquisti sempre e comunque ?. E siete anche il tipo di persone - come me - che se si trovano bene con un articolo poi vanno a comprarsi lo stesso modello in colori diversi ?! Io lo faccio tutte le volte !. Infatti, stavo cercando un altro paio di zeppe di Jeffrey Campbell dato che le ho già in verde e siccome non avevo tempo e voglia di cercarle in giro, ho deciso di acquistarle comodamente online. Ho provato Zalando, che aveva proprio il modello che interessava a me, modello Swansong in una bellissima fantasia floreale ! Ovviamente, è scattato l'acquisto...ho comprato anche altre due cosine, tra cui la gonna lunga nera che vedete nel post...era tanto che la cercavo così, è leggera e comodissima !. L'esperienza con questo sito è stata positiva in quanto le spese di spedizione sono gratuite e la merce ordinata era molto ben imballata !. Mixando i nuovi acquisti con qualcosa che avevo già, tra cui una bellissima camicia di seta di D&G, questo è l'outfit che ne è uscito fuori :-). See you ! If you want you're welcome to follow me on twitter, and most of all do leave a message and I'll come and visit your blog. If you like my blog...follow it ! A presto ! Se volete potete seguirmi su twitter e soprattutto lasciate un commento così vi verrò a trovare. Se vi piace il mio blog...seguitelo ! Great outfit! Love your blog, following you now! Love your sheer top & maxi skirt! Love that shirt with the maxi. It depends on the item if I have to throw it on right away or if I can wait. La blusa è fantastica e mi piac tutto l'insieme. Io quando compro una cosa me la devo mettere subito e come te se mi piace un capo me lo compro in diversi colori! These wedges are so cool! I really love your style here. Your blouse is just amazing dear!!! seguimi sul blog faccio lo stesso anch' io... mi piace il tuo stile. i love the shirt! it is wonderful! and with my new clothes, it depends, sometimes i buy and it was in my wordrobe long long time, waiting the right day! Amazing skirt and leopard print shoes! I am in LOVE with those floral wedges, they are too cute! Stunning and loving your wedges!! Very beautiful outfit! I love your shirt! I love your maxi skirt. what a mix of patterns - but it works! allora io sn il tipo impaziente ke nn vedo l'ora di indossare ciò ke compro,ma purtroppo devo sempre aspettare il sabato xkè il durante la settimana lavoro e quindi nn posso sfruttare a pieno i miei capi! I absolutely love the tights! I am such a sucker for animal prints. OH, what a fabulous look! I'm craving a long skirt this spring! I love maxi skirts. It's a great outfit! Yes, I will follow you, follow back!! Hey vale thanks for visiting my blog and commenting.u r so kind.i already follow you,u know that :)u look amazing with these leopard.i love it !and ur maxi skirt is gorgeous!!! ...Gonna lunga nera e giacca di pelle!Un look fantastico! Lo adoro! 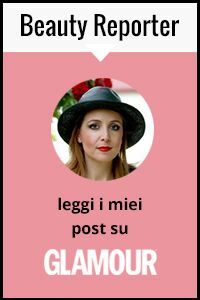 E compliemtni per il blog! your blog is uber cute! love your combo of the stockings with the floral sandals! I love leopard tights and blouse! But your shoes is what caught my eye - totally stunning! Thanks for stepping by at my blog! your comment mean a lot to me! wow! awesome place and pics! ciao!! ti seguo anche io, grazie per il commento! you are so beautiful! thank you for the sweet comment! i am definitely following you! love love that top! hello girl thanks for the comments... lovely blog and I really fall in love with your shoes!!!! woooww!!! Your blog is so cute! Following! Ciao!ti ringrazio per aver visitato il mio blog e per aver commentato..seguimi pure!io ti ho messo tra i miei blog preferiti!complimenti!.. Thank you a lot for visiting my blog and your nice comment! I really like yors! It´s so inspiring! i LOVE your skirt too! and the tights and shoes combo is a knockout! I LOVE the long skirt! So cute especially with the cheetah. You have very nice skin!:).. (following now, i hope you can follow back also!.. wow, so many animal prints! Awesome! Love your outfit!!! Amazing skirt with an animal print blouse! you´re blog is so cute :) and that hk at the bottom of your page is adorable. wow! amazing leopard print styling!!! love mix of prints here!! Eccole qua le nostre zeppe fiorate :) Sono molto contenta dell'acquisto, nonostante l'altezza sono proprio comode. The D&G leopard tops is amazing, looks very nice on you, dear!